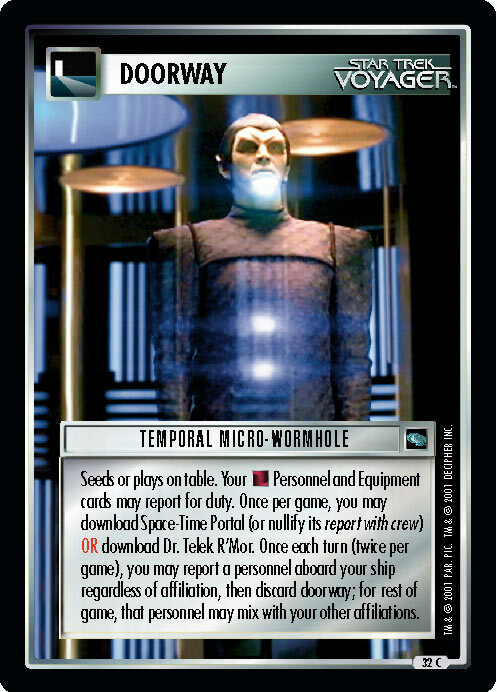 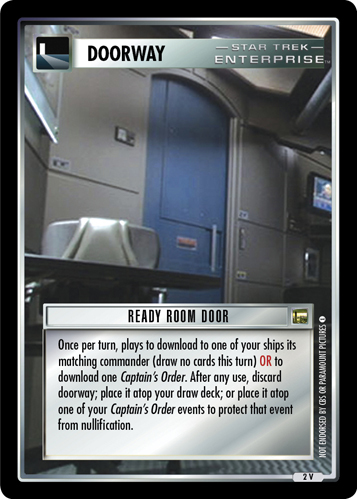 Once per turn, plays to download to one of your ships its matching commander (draw no cards this turn) OR to download one Captain's Order. 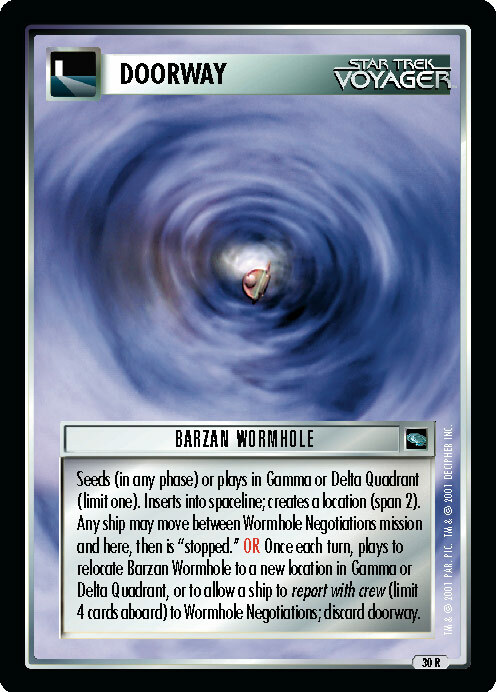 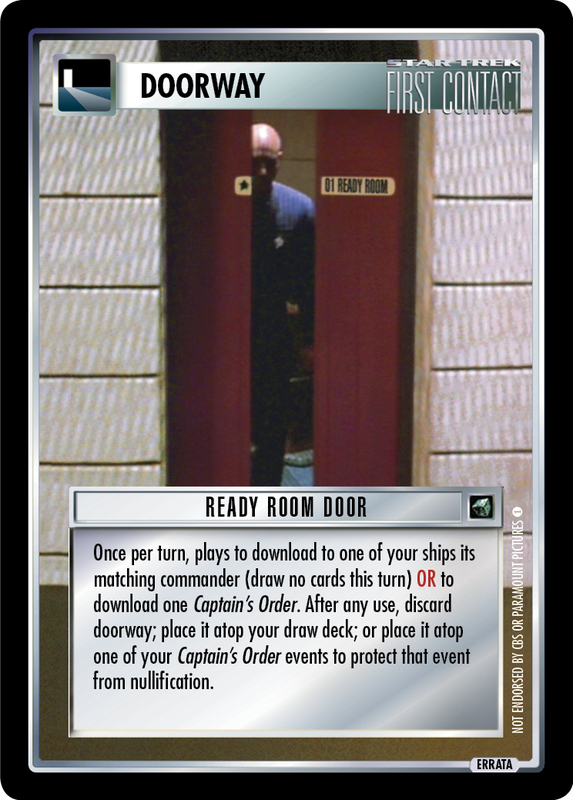 After any use, discard doorway; place it atop your draw deck; or place it atop one of your Captain's Order events to protect that event from nullification. 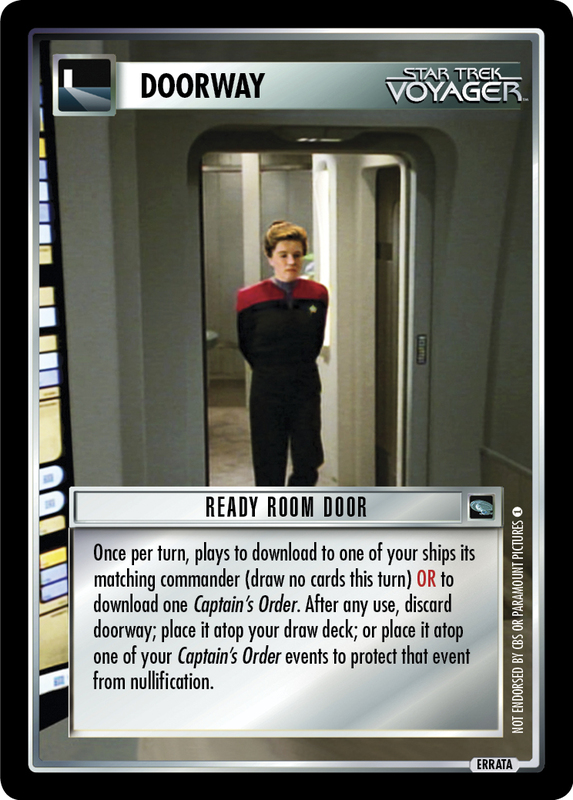 Image Source: Voyager: "Caretaker, Part I"